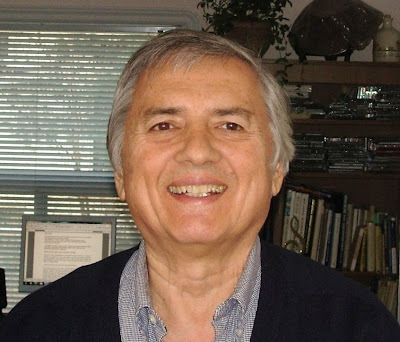 Aleksandra's Note: The interview with Serbian national treasure Milan Mića Petrovic that follows describes not only a vivid journey through the life of a successful Serbian immigrant, but also provides important testimony about what life was like for Serb patriots in the former communist Yugoslavia. Many thanks to Mr. Petrovic for translating the original interview in Serbian that was conducted by Ksenija Vučević and published in the December 10, 2012 issue of Toronto Novosti. 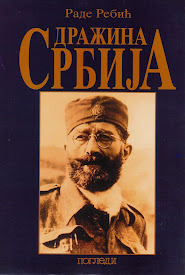 The link to the Serbian language interview can be found at the end of the English text. 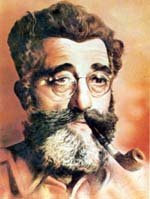 Milan Mića Petrović, teacher, composer, arranger, singer, and musician, is the best known performer of Serbian patriotic songs in the Diaspora who, for over 30 years, has faithfully collected, arranged, and recorded songs that are considered our national treasure and made these recordings available to the public. For over 35 years, with his folk-band 'Serbia' of Toronto, he has played exclusively for patriotic, social and cultural organizations in Serbian colonies throughout Canada - from Vancouver to Windsor; in the USA - from Detroit to Dallas. Generations of young Serbs have grown up, sang, danced, and married to Mića’s music. Your 'Mipex Records' was established in 1976 in order to document and publish Serbian patriotic folk music brought to the Diaspora by Serbian immigrants. How did you get so much appreciation for these types of songs? -I grew up in a family where the country of Serbia is cherished. It's difficult to believe that right after the war, after the 'liberation', my parents whispered to me songs that were forbidden to be uttered, let alone sung. At age seven, I already knew 'Marširala Kralja Petra garda', 'Srpska mi truba zatrubi', 'U ranama na bojištu' and 'Bože pravde'. What forced your family to abandon your place of birth? - After the war, for people in the village who questioned communist post-war forced changes and brutality, life was very risky. In our all Serb village in Banat, these families suffered frequent threats, family members were beaten, had their property confiscated, and some poor souls were killed by the Serbian communist ‘authorities’. After the communists ruthlessly murdered two people in our family, we were forced to leave the village in order to save the lives of the remaining family members. With indescribable fear, untested courage, and sheer dumb luck, we made it to Canada. Many who attempted to leave Yugoslavia using a similar thorny path did not succeed. Thousands lost their lives on the border between Yugoslavia and Austria. What was it like starting a new life in Canada? - In Canada, we found our 'starosedeoci' - Serbs that arrived in Canada before and after WWI, and post-WWII surviving Serbs. They congregated in communities under the auspices of the Serbian church. We immediately joined this community or Serbian colony, where people socialized, laughed and sang freely. I would like to add that in all my 55 years in Canada, I have never been stopped on the street by the local authorities asking me what is my name, what is my father’s name and grandfather’s, followed by the mental abuse that I experienced as a child in my village in Serbia. 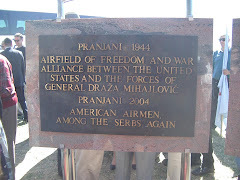 From your young age and on, you seem to have been the only one who sang the Serbian Anthem and Ravnogorski marš at Serbian community gatherings. - During the '50s, Serbian musicians in our communities were children of parents who came to Canada before and after World War I. These musicians played tamburitzas. 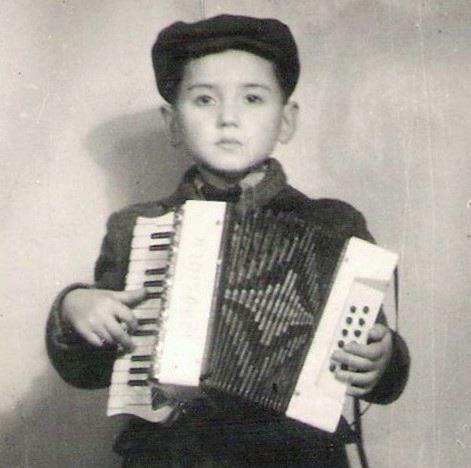 As a boy of 13, I already played accordion fairly well, and I joined the folklore group 'Stražilovo' and began peforming as a soloist at our dances and gatherings as the newcomers preferred accordions over tamburitzas. - Following WWII, the new Serbian immigrants were quite nationalistic and remained true to their oath 'For King and the Fatherland'. These members of our communities held many dances, celebrations, cultural events, and our national anniversaries where I sang primarily patriotic and chetnik songs. - During those years, the majority of the new Serbian immigrants were under the age of 40. We had strong and energetic cultural leaders, King’s officers, Vojvode, and King Peter II. 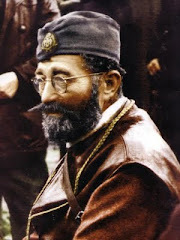 We continued to live in a well established, family oriented, Serbian tradition. 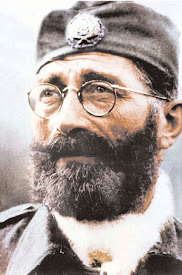 - It is unfortunate that, after the war, Serbs in their own country were not free to follow their path of a logical continuation of Serbian culture and national awareness. The country’s traditional direction of existence was derailed and remains so to this day, and it seems to me, ad infinitum. - New life in Canada was exciting. Here we regained our hope and in spite of the hardships, we had a lot of contentment. Even though our parents came here with less than grade four education, without the knowledge of the English language, and though they worked very hard as labourers and tradesmen for little money, they were able to feed their families, acquire a home, and pay for their children’s education. In these communities we eventually extended our families through marriage, had our own families, prospered, and reached our mature years in a stable, peaceful, and pleasant environment. When did you acquire your first not yet recorded folksong about Ravna Gora? 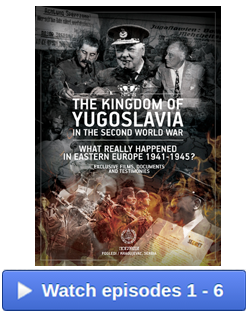 - Because during the 1950’s to the 1990’s our communities in Canada were harassed by the embassy of communist Yugoslavia via their thugs and informants and via blackmail and interrogation of our families and relatives in communist Yugoslavia, Serbian communities in Canada refused to have any contact with Yugoslavia. 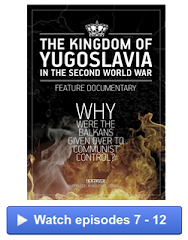 Our communities in Canada were therefore isolated in a sense that they had little or no contact with the cultural changes in Yugoslavia. Yugoslav musicians and singers were forbidden by their government to perform in our communities. We continued to play and sing songs that we brought with us and listened to the records of chetnik songs that were recorded exclusively by the North American-Serbian musicians; The Popović Brothers, Mitar Bulatović, Raša Radenković, Sveta Marić, Čeda Radovanović, Milan Gligić and a few others. - Upon completing my music degree, in 1970 I formed an excellent Serbian band that would play exclusively for Serbian communities. I felt that it was the right time to form a group since there were no organized bands to speak of and older musicians stopped recording chetnik songs. Those recordings that existed were in poor condition due to the many years of use, while new records were not available. - At about 1973, I received lyrics and melody for a song called 'Klice vila s’ Trebevića'. The song was given to me by pre-war accordion player and singer, Marinko Marijan, a chetnik from Lika. My band learned the song, and we perfomed it for the first time at a dance in the church hall of St. Michael Archangel in Toronto. To my surprise, the whole audience sang with me. It was then that I realized that people knew more chetnik songs and not just the ones that we’d heard on records. That evening was the beginning of my serious undertaking of collecting, notating, and recording patriotic and chetnik songs. Your album 'Cvetala mi lipa i topola' is your first and it appears to be the most popular. - I decided to revive the previously recorded chetnik songs to see if there was any interest in them. My first album of Serbian patriotic songs – 'Cvetala mi lipa i topola', (1978), has 8 songs that were previously recorded and 4 songs that were not. In a very short time the album became known worldwide wherever Serbian colonies existed. And yes, it is my most popular album to date. After that first album people very slowly began sending me chetnik songs from around the world. I’ve even received chetnik songs from the visiting Serbs from Yugoslavia. If we listed all of your albums in chronological order, which one evokes the fondest of memories? - My fondest memories are of those early years when we entered the studio to record chetnik songs. We were young and attractive well above the average. I remember how the guys of the studio crew blushed when they looked at our girls. The Canadian crew was used to working with North American musicians who drank, smoked, and appeared pale and exhausted, while we looked, as they expressed it, like the best representation of a healthy nation. Singing chetnik songs seems to require a special musical feel. Was it difficult to find musicians that had such skills? - As already stated, I could not have the help of professional Serbian musicians. Actually I did not need them because for us living in these parts, singing chetnik songs was quite common and we sang them often. For the back-up vocals I invited my friends who graciously chose to participate. - Since the ‘new’ music of Yugoslavia had no influence on our musical taste, we sang in a traditional Serbian village style of group singing, that is, one voice carried a melody while the rest sang in harmony. For the purpose of recording, besides playing accordion, you’ve learned to play guitar, frula (Serbian shepherd’s flute), and bass. How has your musical training as a professional musician helped you achieve this? - I think that a professional musician is a person who performs for a living. I was never a professional musician. I'm just an enthusiast. At university my major was theory and composition in music. 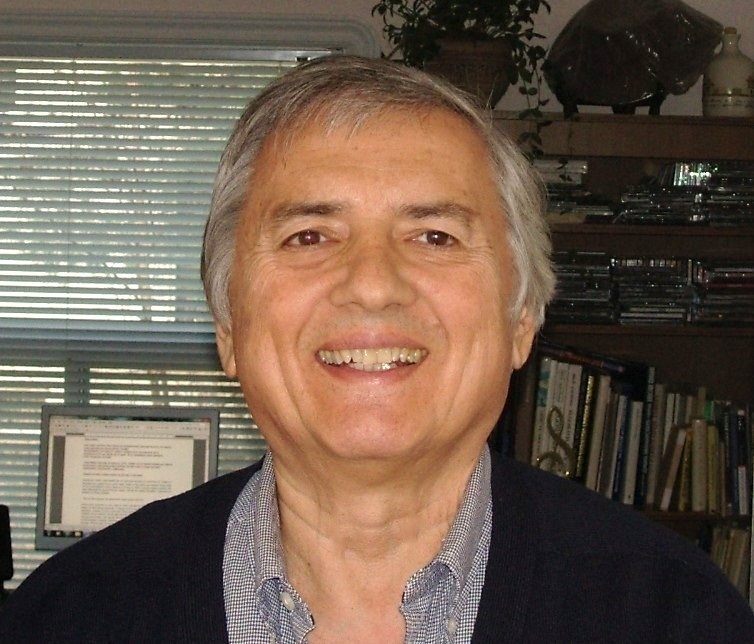 My 30-year career was in teaching music, business, and computers in Canadian high schools. - Part of my university training was to study and perform on all four groups of orchestral instruments. I had to produce a sound on stringed and wind instruments and play scales and arrangements written by us students for our study groups. - For the recording sessions I needed a group of musicians who would rehearse given songs on a regular basis. I was unable to get such a group as none of my band members had the time for such a commitment. An idea came to me that it would be more practical if I learned to play all of the necessary instruments. - University training and my high school experience with the instruments helped me achieve a convincing playing level in order to obtain a true folk-band sound. - I planned to record using two accordions, flutes, two guitars and a bass. When I added background vocals, that gave me an accurate ambience of chetnik and patriotic folk songs. You have recorded 12 albums. How was it recording an album? - Recording the first eight albums from 1978 to 1993 was very difficult. When my wife and I got married, we started with nothing. There was little work, yet we managed to forge ahead. In addition to providing for our daily needs, we saved enough money so that I could pay for 20 hours of studio time. - First I recorded accordion on one channel, then while listening to that accordion track, I recorded additional instruments using other channels or tracks. All of the channels were recorded only once. My budget did not allow me to go back and improve the recorded material. After recording the 'folk-band' and my voice, I invited friends to sing the background vocals. The remaining hours were spent on mixing all of the channels to a stereo sound and mastering songs to a final product. - At that time it was said that an industry standard for a professionally recorded album was six or more months of work with several hundreds of hours of recording time. With my 20 pre-paid hours spaced over one to two weeks, I was merely able to catalogue the songs and make them public. On that note, when I listen to the recordings of Sveta Marić and other North American-Serbian musicians of that time, they too sound like they were recorded on a very, very limited budget. - Since I’ve retired from my day-job, I’ve learned to record using computer software. As a result, I can now record and mix everything in my home studio. My four albums between 2008-2012, have each taken 6 – 9 months of work with hundreds of hours in preparation and recording time. Even though no Yugoslav record company was allowed or wanted to promote and sell your songs, your recordings are heard world-wide. - That is correct. 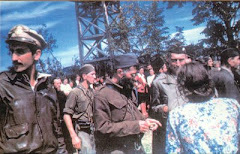 It’s interesting to me that guest Serbs, while visiting relatives in Canada, packed my recordings and took them back to communist Yugoslavia. This story was told to me by a person who took my recordings back to Yugoslavia by putting my record in somebody else’s record jacket. When he got home he informed his most trusted friends. They all got together at his house, closed the window shades, turned off the lights, laid on the floor and quietly listened to chetnik songs. - I’ve heard stories about young men going to soccer games who cheered, and in the excitement of the moment, sang Serbian chetnik songs. They were arrested and beaten by the police. - When I recorded these songs they were not intended for such a purpose. 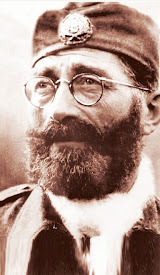 My recordings were meant exclusively for the Diaspora where there was no hesitation to play chetnik songs on our radio programs or to sing them at Serbian events. - Singers from Yugoslavia were not permitted to perform in our colonies, let alone record nationalistic folk songs about Serbians. I have to state and emphasize that to this day, absolutely not one new chetnik folk song has been recorded in Serbia as an addition to the songs collected and recorded in the Diaspora. Over the past 25 years a number of chetnik songs were recorded by several performers in Serbia, but those songs were merely taken off my albums where those songs are already sorted, verified that they were sung during the war years, arranged, and given a musical substance. - It is then accurate to say that after WWII during the '50 's and '60s in Chicago and from 1978 to this day in Toronto, Canada, 100% of Ravna Gora’s patriotic/chetnik songs were collected, verified, and recorded only in the Diaspora. For the past 30 years, you have recorded more than 150 songs, of which 120 are songs of Ravna Gora. Do you know all the lyrics by heart? - For each skill, whether it be in sports, dance, or art, it is necessary to exercise daily in order to perfect one’s craft. For the last 20 years I have been quite busy with work and new projects that I have had no time to rehearse songs already recorded. Recently all of my spare time is spent on researching, verifying songs, studying delivery styles of various Serbian regions, arranging, and recording them. No, I don’t remember the full texts of all the songs, but I know that supporters of this music sing these songs at every given opportunity. What motivates you to continue recording to this day? - My motivation is the constructive criticism from my historian colleagues in Serbia, USA, and Australia, and a stack of letters from listeners expressing sincere praise, tears of gratitude, and honest advice for my future work. Such support cannot be bought. - I have been retired for 10 years. During that time I have received and verified many more authentic songs that I would like to record while my health and voice serve me. I feel that since I already have these songs, it would be a pity to have them remain silent - unrecorded. 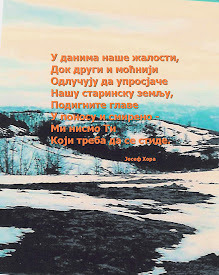 - Here in Canada, I have lived among the Serbs who survived WWII. I have heard of their incomprehensible hardships, observed their struggles in the new environment where, despite their daily tribulations, these people were able to: build new churches, purchase forested properties for picnics, organize new colonies, organize Sunday school for kids’ education in Serbian, establish radio programs and newspapers, write books, and organize choirs, folk-dancing groups, sport clubs and festivals where many of our colonies participated. We have various associations from chetnik veterans’ groups to social, humanitarian, cultural, literary, and artistic endeavours. That’s quite a feat even for a small nation let alone for a group of humble, proud, and energetic immigrants. - I feel that the Serbian casualties during the war and the surviving Ravnogorci and Chetniks, wherever they may be, deserve every song that our people sang about them during the war. - For the eternal memory and peace of their souls, instead of candles, I give them their songs. 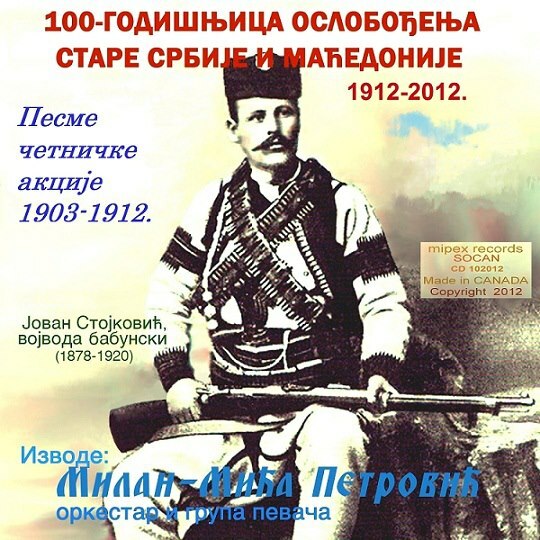 ﻿Since your albums, or as you collectively call them, 'Songs of Serbian History', are not sold anywhere, how can fans of patriotic music acquire your recordings? 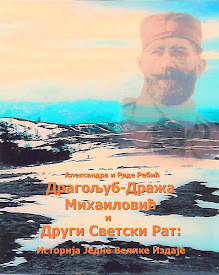 On the pages 'Chetnik albums' and 'Patriotic albums', right-click your mouse on the name of the song next to the picture of the album and 'Save'. What a fantastic interview!! Thank you so much for taking the time to have this translated into English. It ensures that future generations of Canadian and American Serbs will be able to enjoy this interview and keep our history alive, both in our minds and our hearts. How blessed we are that our parents brought their Orthodox faith and their beautiful culture to these shores! How even more blessed are we that Mica Petrovic had so much love for our rich musical history that he so generously laboured for years to forge such a legacy for all of us to cherish! May God grant him many, many years!